I’m a husband, father, real estate investor, musician, blogger, health coach, and public speaker. How do I do it all? I have no idea! In December 2003 I was diagnosed with Stage IIIc colon cancer. There was a golf ball sized tumor in my large intestine, and the cancer had spread to my lymph nodes. It was two days before Christmas, and I was 26 years old. The oncologist told me I was “insane” but I decided against chemotherapy after surgery. After prayerful consideration I radically changed my diet and did every natural non-toxic therapy I could find. 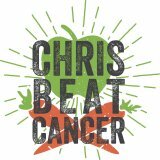 Seven years later, in 2010, I started this blog to share my story and everything I’ve learned about nutrition and natural therapies for cancer. I also started sharing cancer healing testimonials from other survivors. By the grace of God, I’m still cancer free, healthy and strong, and in the best shape of my life. My wife and I have two beautiful daughters, Marin and Mackenzie. I thank Him every day for my life, health and healing. For details about my diagnosis and what I did check out my FAQ page. 1) You have cancer, and you don’t like the options you’ve been given. 2) Someone you care about has cancer, and you want to help them. 3) You want to transform your health and reduce your risk of ever developing cancer. Whatever your reason, you’ve come to the right place! The human body is Intelligently Designed to heal itself, and given the proper nutrients and care, it will. I’m not going to give you pseudo-healthy tips like: “Follow the food pyramid, eat a low-fat diet, count your calories, drink diet soda instead, use artificial sweeteners,” etc. That kind of lousy advice is the reason so many of us are sick now! The absolute healthiest way to live, how I healed cancer, and how others have as well. Many more than you’ve been told. You have the power to transform your life and regain your health. Here’s a 4 minute video of me sharing my story at the 2011 Cancer Control Convention. To your life and health!